Video marketing has been around for a long time and is not really a new concept at all. But the online world is starting to indicate that videos are no longer simply a nice feature to add, but they are becoming a must-have for today’s business. There are many reasons that it is a good idea to invest the time and effort into making videos to build your brand. People’s attention spans seem to be decreasing and videos are a very effective means of getting viewer’s attention. Site visitors who view videos stay about two minutes longer on the site and are over 50% more likely to make a purchase on the site. Online statistics indicate that over 75% of internet users watch a video at least once a week and over 50% watch at least one video every single day. About 90% of the information which is transmitted to the brain is visual and the brain processes visual information 60, 1000 times faster than it processes text. Visitors are much more likely to remember what they saw over what they read. These are some very good reasons to incorporate the use of video into your website. There have been several entrepreneurs who have demonstrated the effectiveness of using videos for branding. Timothy Ferriss simply demonstrated how easy it is to peel a hardboiled egg without the frustrations commonly associated with the task. This famous author’s video was watched by more than 3 million people. He had discovered the power of video when it comes to building an expert brand. Jeffrey Harmon is another example. He is theCMOat a company that makes tongue cleaners. He watched a $50,000 infomercial be instrumental in selling 100 tongue cleaners. He created short videos about the product and in just six weeks they had sold over 10,000 of the tongue cleaners. Entrepreneurs are catching on to the effectiveness of videos and how important they can be to a branding campaign. Videos are a great resource and are very inexpensive to make. Any business, even the small business owner who is operating on a tight budget can make videos and produce a one minute video each day to share across social media platforms. To get started creating branding videos, there are some specifics to consider. For instance, what is the best length for a video? You may have seen YouTube videos that are several minutes in length. Lengthier videos take more time and effort to create and are shared less frequently than shorter clips. It is suggested to stay with the length of the most shared videos which are right at one minute long. You will also need to determine the specific type of content that you will include on the video. This may depend on the type of product or service that is being offered. You may do a series of how-to videos, money saving tips, or time saving tips. Whatever your business does you will post videos that answer some of the most frequently asked questions or topics that are related to the business. Once you have determined how long the videos will be and the type of content they will have you will need to decide on a regular schedule. Honestly, if you desire to build your brand, then once a week is not enough to be effective. It is ideal if you can post one a day for the work week. There are several different ways to use videos in a branding campaign and with the variety of platforms available online including the business website the options are limitless. Here are a few places that videos are very effective at building a brand. Business Site Landing Page – This is a great place to put a video that describes the product or service and why it is needed. YouTube Channel – Create your own channel on YouTube that is dedicated solely to information about your brand. Include Calls to Action – At the end of the video always include a call to action by asking the viewers to check out the business site, subscribe to your YouTube channel or sign up for email updates. 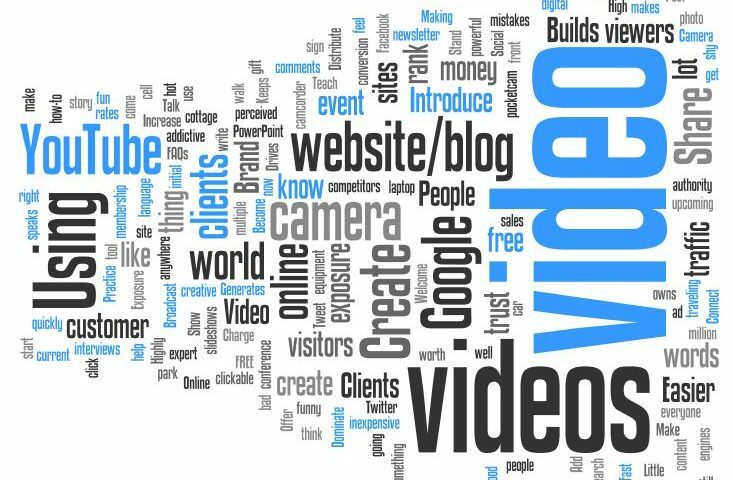 Video Blogs – Businesses can use the videos as the primary content of a video blog, or incorporate them into their blogs on a regular basis. There are many ways to use video clips to establish a brand. Be creative and be yourself. Using videos allows clientele a unique glimpse at the company and the people behind it. They can help build and strengthen the client-business relationship. Publishing videos offers a way for your business to be present online wherever your primary clientele is accustomed to spending their time.